Whats going on in Stafford? 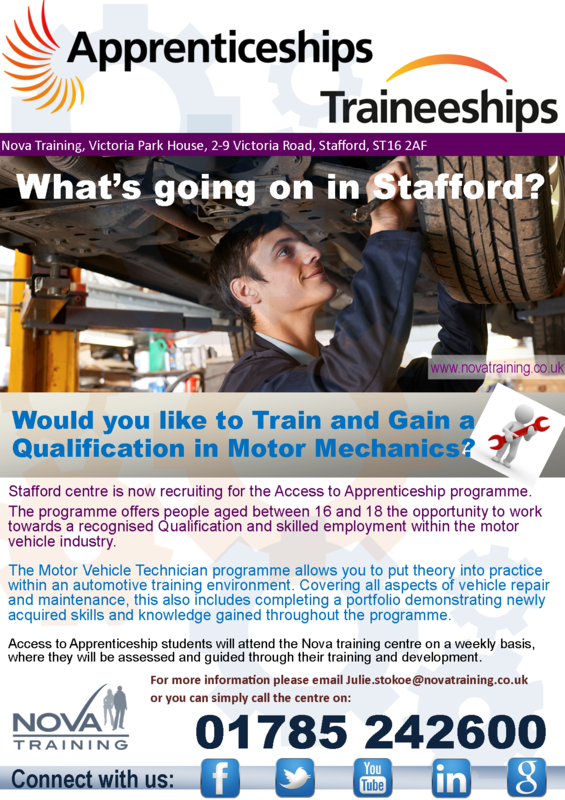 Nova's Stafford centre is now recruiting for the Access to Apprenticeship programme. The programme offers people aged between 16 and 18 the opportunity to work towards a recognised Qualification and skilled employment within the motor vehicle industry.